This mid-rise residential development is positioned just blocks from one of the only two bridges connecting Harbour Island to downtown Tampa. 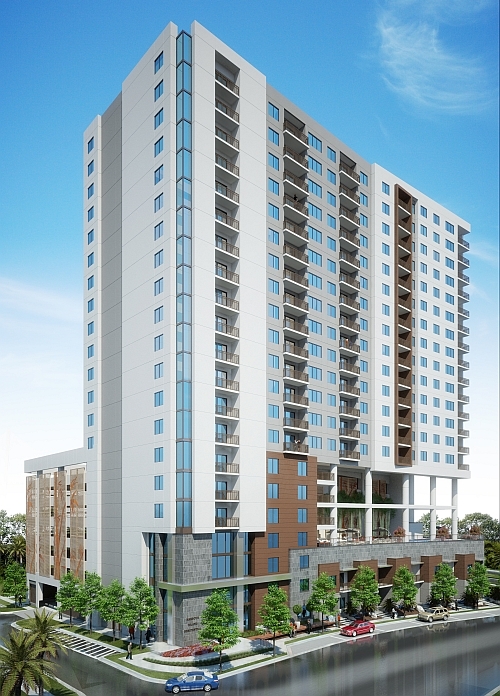 Designed to meet the needs of urban professionals, 500 HI will offer luxury apartments that average 1,150 square feet with stunning views of the Tampa skyline. This very contemporary urban habitat will feature a pool, spa and gathering place on the fourth floor. Click the link below for the 500 HI webcam to watch the construction process in real-time.